Call to order at 2:08 PM, welcome, introductions. Board members present: Doug KD7DK (presiding), Tim WT1IM, Bill N6NBN, Theresa KG7AII & Jack KI7RMU. Approve last board meeting (10-13-2018) minutes. Board members received the minutes via email for review for a quick vote to adopt. Doug made a motion to adopt unchanged, Barry seconded and all approved. Reinstall Don, W7UUL as license trustee / board member. Doug made a motion to approve Don’s reinstallation, Bill seconded and all approved. Memorandum of understanding with the Seattle Office of Emergency Management. No progress as of yet as Doug and Mark Sheppard still need to meet to discuss the terms. Vendor donations for Solar power at Beacon Hill and Capitol Park. Waiting for approval pending a new housing authority person coming on board. There will be a site visit that will help this process move forward. There will be an update by the February board meeting. Doug was given approval to seek outside cash or in-kind donations as needed for equipment. Bob Gudgel of Midnight Solar has offered to donate equipment. Approve plans to relocate Queen Anne repeater to Capitol Park. Doug presented the benefits of the new site: Altitude, more resilient power, flat roof building with a concrete elevator core, 24/7 access to the building and room to install solar. Time table for this is in the spring once the 24 volt battery system is in place. Doug made a motion to approve, Theresa seconded and all approved. Approve purchase of new VHF commercial repeater antenna (~$850), mounting clamps, poly-phaser and assorted hardware. Current antenna is lower gain and lighter build quality. Theresa said the existing funds are more than adequate to cover the purchase. Revised budget is $1200 but Doug expects to come in under that. Doug makes a motion to approve, Theresa seconded and all approved. 8a. Approve Randy’s expense report for $665.32 for two Motorola radios, two RTCM’s and miscellaneous hardware. Doug made a motion to approve, Tim seconded and all approved. Discuss and seek approval to sponsor a DMR digital UHF repeater (Randy and Mark Sheppard to present case) to support our public service mission and provide greater local access to this very active digital mode. D-star, Fusion and other digital technologies have been around a while and they have some popularity but also drawbacks. In the last couple of years DMR has come on strong and DMR PNW users have doubled in the last year. Using the spectrum more efficiently allows us to do two streams in one channel. Also, they’re networkable between sites and sets of sites. There are multiple amateur networks including Brandmeister and DMR PNW as well as some parts of the original Motorola network. You can bridge between these systems expanding functionality. DMR is designed to be an all-digital mode. You always have clean audio going in. DMR could work with voting receivers but cost may be an issue. The radios are among the lowest cost in the market due to the size of the potential user base. Better radios are less prone to bit error rates. Rob connected a DMR repeater to HAMWAN but is unimpressed with it. Thinks it’s a distraction from PSRG’s core mission. Thinks it’s one step above awful and a waste of money. Says it degrades rapidly and there are long periods of latency due to the amount of repeaters. Mark says the attractive aspect is the ability to create specific talk groups or to find local or state-wide groups when needed. Snohomish county emergency services has two DMR repeaters in place. Believes it gives us a lot of utility off the shelf. If we’re going to progress as a group, he believes it’s worth a try. Doug says there is an opportunity for open channels for specific uses. DMR allows us to have PSRG specific content that meets our needs and allows for experimentation. We’ll use our own C-bridge to link to HAMWAN/internet. A repeater is roughly $3000 + $1000 or so for ancillary equipment. If after a year the group doesn’t like DMR the equipment is still capable of being a great UHF FM repeater. Doug makes a motion to ask the membership for direct PSRG funding of $2000 with the balance being drawn from existing reserves. Bill seconds and all approve. Employing an online live feed service like Jitsi to allow for remote access for members who cannot attend PSRG meetings. Doesn’t require a board vote but was an idea that Tim introduced that could be implemented. Amending by-laws to allow for online discussion of, and voting on, issues by board members relevant to PSRG operations. Doug proposes to publish an update on this to the membership prior to the annual meeting. Cory mentions that in his experience, boards in Washington state have the option of holding meetings online if all members can be heard and can speak. Doug made a motion to draft this by-laws change, Jack seconded and all approved. Possible eastside co-location of a voting receiver. Jym, W7JYM, expressed an interest in having the tech team investigate his location on Finn Hill (400+ altitude). W7KKX also mentioned his location as a possibility. There are active discussions with the Seatac group about locating a receiver on Cougar mountain. Rob discussed some of the details of that location. The equipment is available and there is 24/7 access at the location. There is also an on-going discussion with the Bainbridge group. These locations will cover some large gaps in our coverage. Covered in the new business above. General account status update. Checking & savings accounts are in good standing. Annual report due. Doug & Theresa will collaborate. Net manager update – Kirsten N2BRN. Things are going well and there is no open recruitment at this time for net hosts. Update from Tim WT1IM. Rich, K7RCH is doing an excellent job at keeping everything updated with the most recent information & changes. Possible swap meet / garage sale – Jack is still investigating this and will report back. Possibly in February. Next educational meeting date. Will we have an educational presentation at the annual meeting? Ken W7KKX has offered to do a talk on RFID technology and how it was used at RAMROD. Tim proposes someone do a talk on DMR. Annual meeting and executive board meeting date & location. The Seattle EOC is a possibility. Saturday January 27th has been confirmed with the Seattle EOC location. There will be an executive board meeting following the annual meeting. Annual dinner date & location. Saturday January 19th is currently being proposed as there is a conflict with the January 12th date – WSARC has their dinner that night. January 19th locked in at the Egg & Us in Ballard. Doug makes a motion to adjourn. Theresa seconds and all approve. Adjournment at 3:35 PM. 1. Meeting called to order by Doug at 1:35 PM. 2. Board members present: Jack KI7RMU, Doug KD7DK, Tim WT1IM & Bill N6NBN. 3. Approve last board meeting (8-11-2018) minutes.Motion made by Tim to adopt as amended & seconded by Bill. Approved unanimously. 4. Don, W7UUL, has accepted a new board position and will not be able to attend our regular board or educational meetings for three years.This leaves an open board position and question about who the new license trustee will be. Barry K7PAL said he could be the interim trustee. Jack made amotion to adopt and Tim seconded. Approved unanimously. 5. Permission to negotiate a memorandum of understanding with the Seattle Office of EmergencyManagement. Doug will negotiate with Mark N7LYE an agreement to formalize how our two groups inter-operate and handle equipment loans etc. Bill N6NBN made a motion to adopt this proposal, Tim seconded and Approved unanimously. 6. Request to solicit vendor donations for Solar power at Beacon Hill and Capitol Park sites. Donations would include all the necessary panels, charge controllers & cabling. Midnight Solar is interested in donating. Tim Wt1IM made a motion to authorize Doug to seek the donations needed. Jack KI7RMU seconded. Approved unanimously. 7. Discussionof repeater changes. Update on additional receiver sites to be added in the future. Thanks to the PSRG tech team for a job well done. Updating the website with a system page detailing coverage maps and an explanation of what a voter system is and how it improves overall performance for our users. Added system monitor page at: http://bit.ly/ww7psr or http://voter.psrg.org/supermon/voter.php?node=2462.Doug is assembling this information for the website. Randy explained the details of the system and mentioned how HT’s are better served with the additional receivers. Additional receiver sites are still being discussed including Randy’s house in Gregory Heights and the eastside. Six sites are ideal for now.Doug said there is additional work to be done on the audio levels across the system including on the Allstar & Echolink links. The Queen Anne receiver needs to be adjusted. A link will be installed between Capitol Park & Beacon to cut out the noted latency. This will be accomplished by installing a pair of 24ghz microwave radios. The voice ID will get changed. Randy proposed scheduling ID times and frequency according to repeater use. The Echolink courtesy tone will be restored by moving it back to the primary node. IRLP will be restored as soon as possible. The Queen Anne 12V battery systems will eventually be replaced by a 24V system. Broadcastify might be integrated into the main Raspberry Pi controller. Doug backed up all the system software and would like to automate the process so it happens once a week. Squelch levels will also be adjusted. Finance Committee (treasurer) Theresa(KG7AII) is not back from Peru yet. Doug reportedthat he submitted a $1200 expense report and one from Randy for around $1100 is being prepared. The system update is on target budget wise. 8. General account status update. Not available at this time although Doug reports the accounts are very much still in the positive. 9. Update from our net manager update Kirsten N2BRN: Hey everyone, I’m sorry I can’t be there at the moment and am missing seeing you all, so I’ve asked Jack to give a quick report on my behalf. First, I would like to welcome Jack KI7RMU and Quentin K7DRQ as our new permanent Sunday morning net hosts. Jessica KF7UHK sat in that driver’sseat for several years delivering a smooth, friendly Sunday-morning net, and she is now happily retired from regular net hosting so she can spend more time elsewhere. Quentin and Jack quickly stepped up to fill those dedicated shoes,and they’re doing a fine job of taking the reins. I’d also like to thank our team as a whole—everyone is doing a fantastic job of jumping in to cover each other’s nets, whether our regula rhosts had enough warning to request coverage in advance or not. We’re also blessed to have a couple of our technical gurus on the team; Doug KD7DK and Randy W3RWN have been indispensable in using our nets to educate our community about the amazing work their team has been doing to bring the new voter system online. As for me, thanks in part to the efforts of our net hosting team working so well together in the last couple of months, I have had a little bit of space to breathe and process our loss of LW. That still hasn’t sunk in very far, but in his honor, I would like to ask that everyone raise their glass to him today. He will be forever missed. I feel confident that we have picked up the baton as a team and are going forward with the same level of dedication he inspired and brought to the task himself. And I hope, in the same vein, that everyone gets to go back outside and enjoy the beautiful weather today. This is Kirsten, N2BRN, concluding this report. Although I can’t see you all there today, I’ll see you on the air again soon. 10. Update from Tim WT1IM. Two items: getting the voter scope listed on the website and getting the wiki back-up. It was down for a few days. 11. Possible swap meet / garage sale / mini-hamfestin late November / early December? David Holdsworth, KJ7PW, has donated anumber of radio related items and tools. If sold the proceeds are to go to the PSRG general fund. Jack is still working on getting an appropriate space to have this happen and reaching out to PC Center. Looking at the winter schedule for Daniel’s classes. 12. Next educational meeting date is November 10th 2018. Ham Makers and Tinkerers Showcase: Getting Your Hands Dirty. Confirmed speakers Darin KG7ZFC, proposed Cody AG7LR and postponed Bob KG7UCL who has another out of town meeting scheduled. Actively seeking a third presenter. 13. Silent Key acknowledgement.Geoffrey W Thorp of Everett, WA. Husband of Maryrue Thorp KG7OGN. Passed Tuesday 11-9-18. Known to many at PSRG and will be missed by all. 14. Annual meeting and executive board meeting date & location. Possibly a Sundayafternoon that doesn’t conflict with the Superbowl. 15. Annual dinner date & location. Second Saturday of January would be January 12th. Same location as last year seems to be the consensus and Tim WT1IM will organize again. 16. Next board meeting set for December 8th. 17. Adjournment at 2:44 PM. All in favor. Meeting called to order at 1:35 PM with Doug facilitating. Board members present: Bill N6NBN, Doug KD7DK, Theresa KG7AII, Don W7UUL & Tim WT1IM. Approval of last board meeting (June 9, 2018) minutes: Don motioned to accept, and Theresa seconded. Approved by all. WW7PSR FCC ULS listing access – Don looking into listing. Field day review & wrap-up: Antenna guy-ring was found, looking for the owner. Points increased over last year’s field day. Picnic review & wrap-up: Hats off to Tim; everything went smoothly in spite of a schedule snafu. Tim thanked everyone who attended. Voting system technical progress update: Voting System: (My apologies on this one; my notes are unfortunately not that great.) Lake Forest Park, (not sure what was meant by “bucket truck” but I wrote that down) building work is getting finished, installing cabinets, receiver ready to go. Queen Anne site: need cable, hope to have that squared away soon. Other locations were discussed including, but not limited to a location owned by the Lake Washington Ham Club on the east side. N6NBN approached LWHC about their location. Doug requested a summary email. Other possible locations including Beacon Hill, Lake Forest Park, Burien/Seatac area (South Seattle), East-Side, and even worth looking into the Olympic Peninsula. IRLP is still down; new equipment should combine all Internet through a single device. iii. budget addendum (additional items acquired / required) – There are additional items required for the voting system. Theresa printed the wrong spreadsheet, but Doug provided an overview of the additional costs. Doug moved to approve the updated voting system budget, Tim seconded. Doug presented an expense report for voting system equipment: $1,213.30. Report on fundraising & general account status. Theresa reported the account status: $6437.45 in checking, and $2161.25 in savings. Will present a budget to review and approve based on last year’s and with the added repeater expenditures. Theresa presented a budget and provided an overview. The voting system expenses did not reflect the updated budget; Theresa will update. Theresa asked Tim to confirm the cost of the picnic reservation. Additionally, the row labeled “65040 Supplies” listed $25/month for expenses which we do not seem to be using. Theresa asked Doug if we should reduce it, and we decided on $10/month. Don motioned to approve the budget with the above changes and Tim seconded. All in favor. Interim net manager update Kirsten N2BRN: K7ZAC on Friday mornings, K7PWB Wednesday mornings, and Randy on an ad-hoc basis. Website update report (Tim Helming): new structural changes well received, kudos to Rich. Set next Educational Meeting date: September 8th. proposal to set it for September 15th (3rd Saturday) to avoid schedule conflicts. A topic was suggested to align with the antenna party after the educational meeting. 12: Somebody suggested voting Randy onto the board; Doug suggested that if he is interested we can take it up at the next board meeting. open board positions do not need to be filled, but we can vote to appoint somebody. Next board meeting: October 13 – second Saturday. Twenty-two in attendance including members, guests and board members. Approve last board meeting (4-21-2018) minutes. Bill N6NBN moved to approve minutes, seconded by Don and approved by all. WW7PSR FCC ULS listing access – Doug has latest info so this is still in process. New member acknowledgements from website seems to be hit or miss. Jose, KI7WLU, said he received an email when he joined. Bill, N6NBN, did a test but did not receive an email. 1st contact acknowledgement with ARRL 1st contact award. Lots of positive feedback from new hams and net controllers. I’d like to report that our fundraising effort for the voting system was a complete success we were oversubscribed by a considerable amount. I want to thank everybody who contributed to the effort. We will probably come back with an adjusted budget for the system at the next meeting that will use some of those funds but not all of them. I will forward separately a copy of the Field Day message I sent earlier and that is all going quite well. We are well prepared for Field Day and there will be further updates in the coming days. There was a question about whether funding was required for the food that Todd will be doing. I spoke with Curt Black from the West Seattle amateur radio club and he was of the belief that would not be necessary and that West Seattle Amateur Radio Club would fund the necessary support for Todd and we would also encourage donations to defray costs. If that changes it would not be a number larger than a couple of hundred dollars if we want to make a budget allocation for that. In addition, as Field Day chairman I would like to request $200 authorization for incidental expenses we may incur in setting up the field day site. The repeater is basically healthy although the IRLP node is still not available we will probably fix that when we install the new voting system and hook IRLP in via the All-Star note that will happen later in the summer. With help from Barry, I have set up the interconnect for the Queen Anne repeater for the voting system and have been testing that at my house. We are within a few weeks of installing the satellite receiver in Lake Forest Park. One of the budget increase items will be a new antenna for the lake forest site that I did not originally include. Todd WA7FOX discussed the food plan and the new grill/smoker. Tim discussed defraying the food costs and made a motion to allocate $350 to the cause. Don seconded the motion and it was passed unanimously. PSRG Picnic – Picnic date set – July 14th at Magnolia Park. This will be a potluck with PSRG providing basics: Hamburgers, hot dogs and potato salad, plates & plastic ware. Contact Tim for volunteer details. Fat Salmon Swim happens on the same day. Picnic starts around noon to 1 PM. Todd will let us use his new grill / smoker. Discussion of allocating $150 to cover basics above. Don makes a motion to do so, Theresa seconds the motion and the it passes unanimously. Status of Echolink / IRLP on PSRG. IRLP is down. technical progress update – Randy W3RWN reports that the Lake Forest Park site will have the Hamwan and receiver installed soon. Beacon is online. budget addendum (additional items acquired / required) – Doug will have an update on this when he returns. Theresa KG7AII reports that there is $6272.42 in the primary bank account and $2168 in savings. annual report – no update. 990-N filing – the site was down when Theresa tried to file this. report on fundraising – See Doug’s comments above. Net manager update Kirsten N2BRN: Everything is under control. Paul K7PJP & Moxie K7MOX are now permanent hosts. The Monday night 7:30 PM PSRG check-in script no longer needs to mention that we are looking for net control operators. Kirsten receives praise for her tireless work as interim net administrator. Rob, KC7FBN, mentions that he is looking for a replacement control operator for his Sunday afternoon 220 net as he is moving out of state. Website update report Tim WT1IM – Tim is seeking ideas and suggestions for the website update. Looking for input from LW as to updating / managing the fun blog. Jack, KI7RMU, suggests making the mailing list page a ‘social nets’ page detailing all the nets on the repeater with expanded descriptions. David Holdsworth, KJ7PW, thanks group volunteers for the help dismantling his ham shack in April. Next board meeting will be August 11th at Salmon Bay Café at 1:30 PM. Jack will be out of town and will need a substitute secretary to record minutes. Tim adjourned meeting at 2:16 PM. Well, we are a little more than 2 weeks from Field Day and busy organizing many different items. I am overdue to give everyone an update. Mark Sheppard has been organizing Safety teams and intends to have the site fully staffed Friday night to Saturday morning. He has also organized a team of safety officers who will oversee different work parties throughout the weekend. Its really important the we put safety first throughout the event to keep our volunteers, our visitors and our equipment safe and undamaged. If you see something you think may pose a risk to people or equipment, please point it out to those around you and then see that a safety officer is informed so we can help get the problem addressed. We will have the Solar Rover again this year. In addition, we are asking those with solar panels and large batteries willing to loan them for Field Day, to bring them onsite by Saturday morning for us to set up for charging and allocated to one of the operating positions to help hold us when the Solar Rover gives out in the early morning. For example I have 2 100w panels and a large battery that will be supporting one of the stations, but we’ll need more. I you have a setup to contribute, please send me specifics of what you have. Several people have indicated they have systems in the survey. I would love to know more specifics. We will be setting up a separate tent for socializing and where food and drink will be prepared/served. This will help the GOTA and VHF stations have a better operating environment. Todd (WA7FOX) with help from WSARC will be leading the food provisioning effort this year and Curt is working closely to help coordinate this will other planning. Look for more information here soon, either from me, Curt or Todd. I am still looking for a good trailer or other form of shelter for Station B. It needs to be dry in the rain and have sufficient ventilation in the sun that we don’t cook the occupants. It would be nice to have something a bit better that the pop-up we used last year. Ideally something that provides shade. Can anyone borrow a mobile home or camping trailer? How about a large van? Contact me directly if you have something that might work. I would love to locate another Elecraft K3 to use for Station B. Right now I have a KX3 with 100w power amp but its not the easiest of units to run even if it does have a clean signal. Station A and the GOTA station already have K3s. That’s all for this mail, though I am sure I have forgotten some things. All are welcome to augment my posting here with additional information, particularly Mark, Curt, Todd, Wink, Tim and others helping with organization. Meeting called to order at 1339 hours. Doug read the minutes from the 12-9-17 & 2-10-18 board meetings. Don made a motion to approve. Seconded by Bill & approved by all. Updating the WW7PSR FCC ULS listing needs to be done by USPS mail. Doug will follow up on this. Doug discussed the voting system budget & showcased a voting module and explained the basic functions and how it’s to be implemented. Direct funding from donations while not depleting current treasury reserves is the preferred method proposed. $2400 is the upper range proposed to cover costs. Three of five sites are chosen for voter placement: Beacon Hill (installed), Lake Forest Park & Queen Anne. Two additional sites proposed are the on the east side (possibly in conjunction with Lake Washington ham Club) and possibly Sea-Tac. Doug made a motion to fund the project at the $2400 level. Seconded by Bill & approved by all. Amazon Smile program implemented. Doug asked Tim to put this on the website. Picnic date set – July 14th at Magnolia Park which is the normal site. Educational meeting (May 12) topic suggestions. Board will discuss options and choose the topic via email. Field day preparations & leadership. PSRG will again work in conjunction with Mark Shepard and Seattle ACS. Doug is looking for an understudy to help him with running the event as well as potentially running one of the operating positions: VHF/UHF, digital/CW or GOTA (Get On The Air). The HF stations will be primarily Elecraft transceivers much like last year. The West Seattle Amateur Radio Club will also be participating again in an expanded capacity. The Solar Rover will be returning to provide power distribution for the event. Bill made a motion to approve the cost and Doug Seconded the motion. The board approved unanimously to fund it. Status of Echolink on PSRG. The normal node died unexpectedly. The Allstar node can do Echolink so that has been enabled. The audio levels have been adjusted and reports have been positive for the most part. Doug will continue to monitor and adjust as needed. Depending on how the voter system needs to be hooked up the IRLP node may have to be dropped to provide a second port. Status of IRLP on PSRG. As noted above the node is offline. This will be inspected on the next visit to the Queen Anne site. The club insurance has been renewed. Donations have been coming in and acknowledgements will be sent accordingly. Theresa paid the $160 to cover the picnic site fee with Seattle Parks. Theresa will upload reports to Google Drive. Current account balances (checking & savings) are approximately $4500. Net manager update. Kirsten (N2BRN) will be the interim net manager while LW takes a leave of absence. Website update report (Tim WT1IM). Jason (KX3O) has set-up a Slack channel to communicate website update ideas and discussions. There will be a special net soon after the Monday 7:30 PM PSRG check-I net open to all for input on things they’d like to see on the site. Tim will solicit input via email for those who can’t or don’t participate on air. For new member acknowledgements from the website Tim will coordinate with Cory to streamline the process. Bill volunteered to be the person acknowledging new members with an email. The web committee, Tim, Rich, Jason & Theresa will report soon on this new initiative using Slack, a special net and email for input. 1st contact acknowledgement with PSRG QSL card & ARRL 1st contact award. Jack will coordinate effort with Kirsten so she can distribute to net hosts. Jack will prototype instructions for net hosts. To maintain graphic consistency Tim will look at design ideas for a PSRG QSL card. David Holdsworth mentioned that he still has a few items he’d like to sell or donate. Joan mentioned she’d like the oscilloscope. He also had a few spectrum analyzers. Next educational meeting will be May 12, 2018 and the next board meeting will be June 9, 2018. Doug moved to adjourn meeting, Tim seconded and all approved. Meeting adjourned at 1443 hours. Meeting called to order at 1335 hours. Doug read and made a motion to approve the 1-28-18 AGM meeting minutes. Seconded by Tim. Approved by all. Doug read and made a motion to approve the 1-28-18 post AMG board meeting minutes. Seconded by Tim. Approved by all. 12-9-17 board meeting notes not available for approval – tabled until 4-21-18 board meeting. Treasurer report: P & L statement was uploaded to Team Drive. Bills are paid, accounts are in good standing and there is money in the account. Doug outlined some ideas for using funds for trainings and new projects. PO box is moving to Ballard Post Office. LW made a motion to adopt plan. All approved. Doug will handle the changeover. Doug made a motion to appoint Theresa to the finance committee. Seconded by Tim. Approved by all. David Holdsworth (KJ7PW) discussed items for sale in his ham shack as he is moving. Volunteers were enlisted post-meeting to help move equipment. March 17 educational meeting discussed however no topics were chosen. Hamwan and fldigi mentioned. Tech committee update: Beacon repeater swapped out. Various components of the voting system are being tested. New sites to expand the coverage area and co-location partners are being sought out. Randy is developing coverage maps to provide better saturation. Net admin report: LW said the 9 AM net host coverage is solid. The 9 PM net slots are shifting to new hosts and split/alternating host coverage. Actively looking for new hosts – this is a great way for new and experienced hams to get and keep their skills up. Looking to make Allstar available to more users. Reports Echolink station check-ins are on the increase. Website update: Tim’s report is short but there is a meeting of website committee members coming up. Rich (K7RCH) will update the webmaster position on the website with himself in place of Marco. Doug & Theresa will prepare a new annual report for the website. Boaters net info not on the website. Jack will contact Chuck (KC1S) & Chris (K7PAN) to get an official blurb that can be posted. Doug made a motion to move the April 14th board meeting to April 21st due to Comm Academy conflict. Approved by all. Doug made a motion to adjourn. LW seconded. Approved by all. Board members present: Doug Kingston KD7DK, President; Don Abeles W7UUL, License Trustee; Tim Helming WT1IM, Vice President; L.. W. Abel K7LWA (Board slot 3); Theresa McLaird KG7AII (Board slot 2), Jack Wolfe KI7RMU (Board slot 4). Also present: Elaine Bradtke KG7CME, outgoing acting Secretary (Board slot 2) and Jim Long K7PDZ, outgoing Treasurer. Meeting called to order at 15:35. Reappoint Trustee – Don Abeles unanamously reappointed. Appoint Treasurer – Doug Kingston moved that Theresa McLaird be appointed Treasurer, LW seconded – all approved. Appoint Secretary – Doug Kingston moved that Jack Wolfe be appointed Secretary, Don seconded, all approved. Doug moved that we change the bank signatories at BECU to include president Doug Kingston, vice president, Tim Helming and new treasurer Theresa McLaird, and remove Jim Long. L.W. Abel seconded, all approved. L. W. requested feedback on net management. Would like to share net control calendar publicly. Meeting called to order at 13:05. Welcome and safety briefing from Mark Sheppard (N7LYE). Remembering silent keys: Mike Maloy (KF7DTI); Michael Hall (KJ7WC); Pat Shiners (W7GTO). Doug Kingston reviewed events and activities of 2017, and upcoming events for 2018. Jim Long gave treasurer’s report. At ⅔ through the fiscal year, good income, and we’re doing well. Bylaws change no. 1 as presented in the documents circulated to membership (By-laws marked DRAFT December 16 2017): Change Secretary-Treasurer to appointed role(s) from among the elected board members, excluding President and Vice-President. Passed unanimously. Bylaws change no. 2 : Strike Article VII (Control Operators). This was passed unanimously. Election of Board members – Doug Kingston re-elected President, unopposed. Board position #2, Theresa McLaird KG7AII and board position #4 (formerly Secretary/Treasurer position), Jack Wolfe KI7RMU were elected unopposed. Meeting was called to order at 1:43pm by Doug Kingston, KD7DK, the Group’s President. Doug welcomed all attendees and asked for quick Introductions. Minutes from the April 8, 2017 meeting was read by Aaron Hulett, K8AMH. Tim Helming, WT1IM, moved to approve, and second by Elaine Bradtke, KG7CME. Everyone was in favor. Aaron then reviewed the Treasurer’s Report, noting that we ended the fiscal year on April 30 and we trended well to budget. He mentioned the Board needs to develop and approve an operating budget for the current fiscal year which runs from May 1 through April 30. He also updated the Group on our 501(c)(3) efforts, mentioning that after phone calls and additional faxes between him and the IRS, we received our determination letter recognizing the PSRG as an organization operating under 501(c)(3). Aaron will work to update the website and also send updated donation receipts from the effective date onward for their records in case they may be able to claim a tax deduction. Last, Aaron informed meeting attendees that he and his fiancé are moving to Texas in the near future and that he could no longer serve on the Board of the PSRG. He previously submitted his resignation and his resignation’s effective date is currently June 20. Under old business, the Annual Picnic is scheduled for July 8. Tim is looking for volunteers to help with setup or takedown, and interested folks should contact him directly. We will also hold an antenna party during the Picnic which Tim will set up. We do not currently need supplies, and should have materials on hand to make ladder line VHF/UHF antennas. There is a question on whether the picnic site’s power outlet works, and Barry Palmore, K7PAL, will go by to check. Regarding membership processing, no progress to report, and we will revisit at the next Board meeting. Regarding the website, Aaron will hand off this item to Tim. Field Day is approaching and folks interested in helping should contact Doug. We will have solar, and Wink Thorne has made arrangements, including having this equipment sponsored. We have a goal this year of running the full 24 hours on solar power only, and if anyone has LED lighting they can bring, this will help us save energy versus using fluorescent lights. Doug is also looking for folks interested in assisting with preparations, such as how Wink drove setting up solar equipment. Last, Doug asked for $300 budget for incidentals. Aaron moved, Tim seconded, and all were in favor. Under new business, the Technical Committee report mentioned the Raspberry Pi used to run EchoLink/IRLP as well as remote repeater operation is currently not allowing changes, such as adding new control stations. EchoLink/IRLP continue to work without issue, but someone will need to travel to the repeater site to address. The Finance Committee did not meet as, per the previous Board meeting, no major financial transactions were budgeted. As part of working towards 501(c)(3) recognition, we do need to update our Articles of Incorporation to align with IRS requirements. Currently the Articles conflict with the By-Laws on both Purpose and Dissolution sections. Aaron submitted proposed amendments which would be presented and voted upon during the Annual Picnic. Doug asked the Board to review and submit feedback before end of day Tuesday, June 13, after which Aaron will publish required notices and Doug will send an email to PSRG members. We also discussed transitioning the Secretary-Treasurer duties given Aaron submitted his resignation. Tim will work on the website, and Doug will work on finances, including preparing and reviewing a budget with Tim. Given the PSRG financial accounts should have more than one person able to draw on them, Doug Kingston asked that the Board approve amending the signatures for the BECU Checking and Savings Accounts to remove Aaron Hulett and add Tim Helming. LW Abel, K7LWA, moved to approve this, and Elaine Bradtke seconded. All board members were in favor. Doug asked if anyone is interested in serving as Secretary-Treasurer through the end of Aaron’s term, which ends at this January’s Annual Meeting, to please let him know. The Board determined that given upcoming events, the Educational Meeting will not take place in July. The next Board meeting be held on Saturday, August 12 at 1:30pm, also at the Salmon Bay Café. With no other business before the Board, the meeting was adjourned at 2:47pm. Meeting was called to order at 1:02pm by Doug, KD7DK, the Group’s President. Minutes from the October 8, 2016 and January 29, 2017 meetings were read by Aaron, K8AMH. Tim, WT1IM, moved to approve, and second by Elaine, KG7CME. Everyone was in favor. Aaron then reviewed the Treasurer’s Report, noting things are trending as planned in the budget. He reminded folks to turn in their unreported expenses ahead of the end of the fiscal year on April 30. He also mentioned nothing new to report from the IRS regarding 501(c)(3) recognition. Under old business, the Annual Meeting went well with an interesting talk on solar by Bob and great door prizes. We will solicit topics in the fall for next year’s Annual Meeting. Under new business, the Technical Committee reported that the PSRG domain needed renewal, which has been paid. EchoLink/IRLP has been working for several months without issue, and now multiple people can connect at once. The listen online radio at the repeater site was accidentally disconnected, and a unit at CK’s home, KG7AUL, has been filling in. This should be fixed in the next few weeks, along with battery maintenance. For AllStar, the Technical Committee will meet in the coming days to get this looked into, and potentially use this to link repeater receive sites in the future. The Finance Committee did not meet recently, but there has not been much financial activity, nor is there much expected in the coming months. For the upcoming Annual Picnic, Tim will organize and start looking for volunteers soon. Doug has a banner and will bring it to the picnic. Regarding membership process, there are currently two lists tracking active members, and these should be combined and streamlined. We need to track for quorum requirements at Membership Meetings. Doug and Aaron will set up a discussion with interested folks to determine how to approach membership going forward. Our website has grown and we need to review the layout and content. Aaron set up an example of how it could be redesigned. Aaron, Tim and Teresa, KG7AII, are interested in redesigning the site, and will keep Marco, W7RJT, in the loop. Before the upcoming Field Day, we are interested in holding an antenna party. Tim suggested this could occur at the same time as the Annual Picnic. He will look into setting this up. Field Day 2017 is coming up the fourth weekend in June, from June 23rd to 25th. Setup is on Friday at South Seattle College, and then we will operate for 24 hours before tearing down the site. A sign-up sheet was passed around for folks interested in volunteering, and those interested can contact Doug. We will also have solar equipment again this year, and Doug will look into having this sponsored as we did last year. LW, K7LWA, suggested that also setting up a geocaching event may help bring in younger folks. Bill, N6NBN, also suggested setting up foxhunting. For the Nine O’clock Net, LW is interested in establishing more official operational guidelines and processes, coming up with ways to get more folks involved in hosting, and establishing what should happen should a net host not make the net. While the Nine O’clock Net has not been an official PSRG net, given some recent occurrences during the net, and the fact the PSRG is strongly associated with this net, Tim moved that the Nine O’clock Net become an official PSRG net, LW seconded, and all were in favor. The Board will work to develop guidelines and a communication plan, and will update the Nine O’clock Net hosts. Elaine worked on a brochure for the PSRG and requested feedback. Doug will investigate how to get them printed. Last, Aaron suggested the Board hold a retreat to come up with its goals for the upcoming fiscal year. The Board decided to take this idea offline. The next Educational meeting will be Saturday, May 13 at 1:00pm at the Salmon Bay Café. The next Board meeting be held on Saturday, June 10 at 1:00pm, also at the Salmon Bay Café. With no other business before the Board, the meeting was adjourned at 2:29pm. Meeting was called to order at 4:03pm by Doug, KD7DK, the Group’s President. Review of minutes from the October 8, 2016 meeting were tabled until the next regular Board meeting. For the Tech Committee, Aaron, K8AMH, moved that Cory, NQ1E, remain the committee lead. Bill, N6NBN, seconded, and all were in favor. CK, KG7AUL, is the second member, and Tim, WT1IM, is the third. For Trustee, Doug moved that Don, W7UUL, remain. All were in favor. For the Finance Committee, Aaron moved that Doug remain on the committee, and all were in favor. Regarding expenses for the Annual Membership Meeting, Aaron moved approving $175, and all were in favor. The next Board meeting be held on Saturday, April 8, 1:00pm at the Salmon Bay Café. With no other business before the Board, the meeting was adjourned at 4:17pm. Meeting was called to order at 1:23pm by Doug, KD7DK, the Group’s President. Doug thanked the Office of Emergency Management for use of the Emergency Operations Center facility for our meeting. Doug also thanked Cory, Marco and LW for their help over the year. We had all attendees introduce themselves. Minutes of the January 24, 2016 Annual Meeting minutes were read and Tyler, AF7BO, moved to approve. Elaine, KG7CME, seconded, and minutes were approved unanimously. Doug then discussed events and accomplishments. The Board meetings went to bimonthly meetings, meeting on even months. On odd months at the time the Board previously met, educational meetings were held. We have more time to share technical things and ask questions, and discuss amateur radio than we do at board meetings given all the discussion about running the business. Number of show and tell sessions, using Raspberry PI, Go Kits, and other items. Field Day was quite successful. Held again at South Seattle College, most of the event was powered using solar power. Only 3 hours were powered by generator. The solar setup was sponsored by Puget Sound Solar, which provided a better system than what we had last year. The Annual Picnic was again held at Magnolia Park, and we look forward to holding this again this year. The Annual Dinner at The Egg & Us in Ballard had a great turnout, and thanks to Barry, K7PAL, for getting this event set up for us. Last year we had a meet-up during the Mike and Key hamfest and had a great group photo, and we encourage folks to join in this year for a new annual photo. We also had a healthy calendar of nets. The PSRG Net is on Monday nights at 7:30, along with the Boater’s Net, ACS Net on Monday evenings, and the Nine O’clock Net. We’re glad to see the Nine O’clock Net developing new net control operators that build net control skills in a welcoming environment. Also, we’ve been using social media more, particularly Facebook. Both the official PSRG page and the unofficial Fun Blog are very active and great resources. Finally, we had strong dedication to public service communications. The repeater is available for events through the year, and we continue to be a major resource for Seattle ACS and other groups using the repeater. Upcoming events related to amateur radio include Chilly Hilly taking place February 26 on Bainbridge Island, which is a great opportunity to work in a public service event. Mike and Key hamfest is March 11 at the Washington State Fairgrounds and is the major flea market and hamfest in the area, so we naturally encourage folks to attend and find equipment, meet other hams, and join in the group photo. On the technical side, there was an IRLP outage as the Raspberry Pi device driving this was defective and it has been replaced. Also, Doug worked with CK, KG7AUL, to build an internet-accessible portal to control the repeater. Echolink was also expanded to support multiple connections. There was no update on AllStar. Aaron, K8AMH, provided a financial update, and encourages members to review the first ever PSRG Annual Report for more information. We filed for and continues to work with the Internal Revenue Service regarding its application for 501(c)(3) determination. We then held elections. We thank Jon Newstrom, KL7GT, Jessica Phipps, KF7UHK, and Tyler Heinemann, AF7BO, for serving on the Board. Tim, WT1IM, was voted in as Vice President, Bill, N6NBN, for Board Position 1, and LW, K7LWA, for Board Position 3. Bob Gudgel, K7IQ, then gave an informative talk about solar power and amateur radio. With no other business, the meeting was adjourned at 3:59pm. Meeting was called to order at 1:03pm by Doug, KD7DK, the Group’s President. Minutes from the August 13, 2016 meeting were read by Aaron, K8AMH. Don, W7UUL, moved to approve, and second by Elaine, KG7CME. Everyone was in favor. Aaron then reviewed the Treasurer’s Report, noting that budget performance columns are now added. Nothing out of the ordinary in the report to call out; we are trending close to budget although we may need to consider soliciting donations to keep on track. Under old business, Aaron updated on work to request 501(c)(3) recognition from the IRS – he has filed Form 1023-EZ and we now wait to hear back. The filing fee dropped from $400 to $275 which helps us budget wise. Aaron also updated on renewing our repeater coordination with Western Washington Amateur Relay Association. Our renewal is complete and WWARA’s database is updated. The webpage still shows we have not renewed but can be ignored. WWARA also eliminated the $5 renewal fee, and while they have not cashed the check we sent, they have not returned it either nor have they mentioned it was voided or destroyed. Aaron will follow up. Under new business, a Technical Committee update was provided via a written statement to Bill, N6NBN. The Echolink/IRLP Raspberry Pi device is offline given the SD card in use went bad. Unfortunately, the second SD card was also defective and therefore Echolink/IRLP remains offline. Aaron raised a concern that if two SD cards have gone bad in such short time, the Raspberry Pi device likely needs replacement. Doug also mentioned we may want to have a backup device for these cases where the primary one fails. The Financial Committee did not have an opportunity to meet prior to the Board meeting, but Doug noted that outside of the Treasurer’s Report and the 501(c)(3) application status provided earlier, there is nothing additional to report. 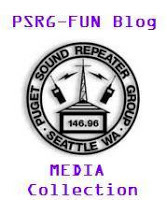 Regarding the PSRG Monday Night Net, Glenn, K7GLE, has covered the 5th Monday of the month when they occur, but we need to have a different operator cover this time. Joan, KG8VO, asked what running the Monday Night Net entails and Aaron provided details. Kevin, N7KV, offered to take this timeslot if no one else volunteers. We will follow up with Kevin to get him set up to run the net. We also discussed the 9 O’clock Net message given during the weekly PSRG Monday Night Net and concluded that it should be dropped from announcements going forward with Doug proposing, Don seconding, and all in favor. During PSRG events, such as the educational meetings, we discussed and agreed that a representative of the PSRG should attend. This does not necessarily need to be a Board member, but it should be someone that can host the gathering and answer questions about the PSRG. We agreed that when setting up future events we will try to identify who will be our designated host. For our upcoming Winter Dinner, last year’s dinner at Ballard Bridge Café went well and we discussed holding it there again. The venue is under new management and is now named The Egg & Us. We will plan for January 7, 2017 with 6pm as a general start time and dinner at 7pm. Barry, K7PAL, agreed to reach out to the restaurant and update Doug and Tyler, AF7BO, on what he finds out. The Annual Meeting also approaches and we set a tentative date of Sunday, January 29. Given the closeness to the regularly scheduled February Board Meeting, we decided to cancel it and instead conduct any Board-related business after the Annual Meeting if needed. Doug will check if the Seattle Emergency Operations Center is available as a venue for our meeting. We are interested in topics of interest so that we can identify speakers. Don suggested solar energy, Kevin mentioned Internet of Things as related to amateur radio, and Barry asked if the fire chief could come talk about the fire dispatch center. At the Annual Meeting we need to elect a Vice President as well as Board positions 1 and 3. Those wanting to find out more about these positions should contact a Board member with his or her interest. The Board would like to enter the Annual Meeting with a list of those open to nomination, and at the same time the Board welcomes nominations at the meeting itself even if they haven’t contact the Board in advance. Assuming persons do not need to be present to accept a nomination, the Board would be happy to read a prepared statement; however, the Governing Documents should be consulted to ensure this is permitted. Doug mentioned we had two recent requests to use the repeater. The first was from Ride Around the Sound, a bicycle race around the greater Puget Sound area. However, in the end they did not need to use the repeater. The second request was from Jamboree On The Air, the scouting activity that happens this time of year, with this year being October 15th, starting shortly after the morning 9 O’clock Net ends and running until about 3pm. We encourage operators to respond to any JOTA calls to help scouts learn more about amateur radio, including Echolink/IRLP, and help them have a fun experience. Last, Doug mentioned Seattle ACS is researching if and how they could support getting amateur radio repeaters they use set up with solar backup. It is possible PSRG could be included if they do get funding, and Doug will keep us updated if and when further information is available. The next Educational meeting will be Saturday, November 12 at 1:00pm at the Salmon Bay Café. The next Board meeting be held on Saturday, December 10 at 1:00pm, also at the Salmon Bay Café. With no other business before the Board, the meeting was adjourned at 2:01pm. Meeting was called to order at 1:05pm by Doug, KD7DK, the Group’s President. Minutes from the June 18, 2016 meeting were read by Aaron, K8AMH. Jessica, KF7UHK, moved to approve, and second by John, KL7GT. Everyone was in favor. Aaron then reviewed the Treasurer’s Report. Aaron needs to add the budget performance column; the template used to generate the reports isn’t set up with this at the moment. He will address and send updated reports to the Board. Under old business, Aaron is working on the IRS Form for 501(c)(3) determination and plans to send Doug in the next few days a completed form for review ahead of filing. Field Day went well, with 636 QSOs on the CW station and 192 QSOs across the VHF/UHF/Main stations. In all we had 2,928 points which is a little better than last year. GOTA and the main phone stations were struggling with bad band conditions, and antennas were not performing. We also could have achieved more points if we had a 2m/FM operator. The solar system was able to run the majority of operations. The generator was run for about 3 hours in the early morning hours. For next year, we may want to partner with the Western Washington DX Club, which hasn’t participated in Field Day recently. We’ll reach out to them over the winter to see if they’re interested in partnering next year. The Annual Picnic also went well, with music, and plenty of food for the pot luck. Doug also ran a HF station for picnic attendees to try and learn about operating HF. Under new business, the Technical Committee did not have a report. However, CK, KG7AUL, mentioned the website calendar does not have current events, and Doug and Marco, W7RJT, will follow up after the meeting. The Financial Committee met before the Board meeting. Expenses continue to follow what’s been planned in the budget, and the next major items are the Annual Meeting and the Annual Dinner, both in the January timeframe. We will begin planning for these events at the next Board meeting. Regarding our repeater coordination, Aaron filed our coordination renewal paperwork with the Western Washington Amateur Relay Association and is waiting to hear back if anything further is needed. For our ARRL affiliation, Doug sent in our annual report with updated contact information. The next Educational meeting will be Saturday, September 10 at 1:00pm, also at the Salmon Bay Café. The next Board meeting be held on Saturday, October 8, 2016 at 1:00pm at the Salmon Bay Café. With no other business before the Board, the meeting was adjourned at 1:41pm. Meeting was called to order at 1:07pm by Doug, KD7DK, the Group’s President. Minutes from the April 2, 2016 meeting were read by Aaron, K8AMH. Elaine, KG7CME, motioned to accept and seconded by Doug. With all Board members in favor, the minutes were accepted. Aaron reviewed the Treasurer’s Report which provided an update on our current balances and a highlevel overview of April and May’s transactions. Doug mentioned that we have enough assets to cover incidents such as the repeater suffering lightning-related damage. Barry, K7PAL, mentioned that while there’s a lightning arrestor, it’s not grounded. Cory, NQ1E, from the technical committee should collaborate with Barry to get this addressed. Under old business, Aaron stated that we are ready to file the appropriate form with the IRS to request 501(c)(3) determination. The cost is $400 and will be incurred in July. Elaine moved to approve the expense and to apply, Doug seconded, and all Board members voted in favor. Elaine updated us on our table at Comm Academy. She put together a 3-panel display board to highlight some of our group’s programs and provide details about our repeater. We had 6 people join the PSRG during Comm Academy. Tyler, AF7BO, was unable to attend the meeting; however, he emailed a picnic status update to Doug. Noon is the targeted start time, and Tyler asks that those bringing food and/or supplies to please let him know. We need people to bring chips, hot dog buns and similar items. A potluck would be great as well. With no feedback on requests for things to do, nothing additional has been planned. This includes no licensing asks; there will be no exam session at the picnic. Tyler also reminded us that alcohol and smoking are not permitted. Drones are also not permitted, and kites should not be brought as there are numerous trees at the picnic location. After reading Tyler’s update, Doug proposed establishing a $100 budget for picnic supplies, such as food and dry ice. Aaron seconded, and all Board members voted in favor. Next, Doug provided an update about Field Day. Assignments for various stations are set, and a few people offered to help with the VHF/UHF station but Doug is looking for others to jump in. We will have solar panels and plan on running solely on banked power during the event, but will use a generator should this power run out. This Northwest Solar Rover is being provided to us by Puget Sound Solar, and Doug will send Aaron documentation showing the $280 value so that we can account for it as a donated service. Under new business, there was no update from the Technical Committee. The Financial Committee met the day before this meeting and reviewed financial materials. Outside of the treasurer’s report provided earlier, and the annual budget discussion later in the meeting agenda, there are no further details to provide. Regarding the PSRG Monday Night Net, Doug mentioned net control coverage has been spotty as some people have forgotten. Aaron will reach out to the net hosts to discuss. At the previous Board meeting we discussed the online membership form and decided we would keep it offline for the time being. On May 27, we received feedback regarding the fact we did not have an online membership form, and after Doug mentioned to Cory that a Google form may be a solution, Cory set up the form. Marco, W7RJT, asked who is responsible for following up on a membership request after someone completes the form. Aaron mentioned that the Technical Committee is responsible for now but we need a long-term solution. He prefers to wait until we receive the 501(c)(3) determination so that we can leverage donated solutions such as Salesforce, but recommended researching how we can streamline the process without too much investment using what we have available today while waiting on this. Aaron will discuss this with the Technical Committee. For a PSRG brochure, Aaron started putting one together but needs help with the content and messaging. Elaine stepped up to help provide some of these details. Joan, KG8VO, suggested offering PSRG badges for members which would have their name, callsign, and the fact they’re a PSRG member on it. Aaron and Elaine will discuss this as well. Ashley, KI6GXN, mentioned that the website says making a donation means you become a member of the PSRG. This is not the case, and Marco will look for this content on the website and correct it. The Financial Committee prepared an annual budget outlining expectations for donations and expenses. We expect to receive about $2,100 in donations and incur about $2,300 in expenses. The one-time $400 IRS filing cost is what’s driving the higher-than-normal expense amount, and the Financial Committee does not have any concerns about the long-term financial outlook. Elaine moved to adopt the budget, and Don, W7UUL, seconded. All Board members voted in favor, and going forward Aaron will provide budget performance details when preparing future treasurer’s reports. Finally, we discussed long-term planning for the group. Aaron is preparing an annual report where we will include goals for the current fiscal year and beyond. Doug encourages all Board members to talk with group members to learn what they would like us to do, and if anyone has ideas, comments or feedback, to please reach out to the Board. For example, Doug would like us to set up a communications van that we can use for Field Day, ACS events, and emergencies. The next Board meeting be held on Saturday, August 13, 2016 at 1:00pm at the Salmon Bay Café. With no other business before the Board, Doug adjourned the meeting at 2:19pm. Meeting was called to order at 1:00pm by Doug, KD7DK, the Group’s President. Minutes from the February 27, 2016 meeting were read by Aaron, K8AMH. After one revision to clarify board meetings will generally be held every other month, Elaine, KG7CME, motioned to accept and seconded by Tyler, AF7BO. With all Board members in favor, the minutes were accepted. Aaron reviewed the Treasurer’s Report which provided an update on our current balances and a high-level overview of March’s transactions. Under old business, the Expense Reimbursement Policy was updated since the last Board meeting and sent to the Board for review. Elaine suggested changing the word ‘staff’ in the overview section and we agreed on revising to ‘board members and officers’. Tyler motioned to accept as amended and Elaine seconded. This was accepted with all Board members in favor. Aaron provided an update on the Cafepress account, mentioning that he now has access to the account and has updated our financial records with transaction details. Aaron also provided an update regarding inventorying the group’s assets. We now have a list of assets completed with help from Barry, K7PAL, and Cory, NQ1E. Next, Aaron updated on 501(c)(3) efforts, indicating that once we finalize our plans around educational efforts we should be able to file our request with the IRS. The goal is to do this by the end of April. Next we discussed email addresses for Board members and officers. Cory mentioned we can have as many forwarding addresses as we need, but only ten mailboxes. Doug and the Technical Committee will work to develop a list of forwarding addresses and necessary mailboxes and implement, including a webmaster@ address which will be directed to Marco, W7RJT. Once we receive our 501(c)(3) determination we can investigate additional mailboxes as our options will increase. Regarding the membership sign-up process, it was decided to continue using our current processes wherein those wishing to join can contact the PSRG by email or postal mail, and Cory will update our records. The Technical Committee will set up a direct email address for those wishing to join and provide Marco with details to post on the website. Under new business, the Technical Committee reported that annual maintenance on the backup batteries was completed, and that there is some additional work we could perform regarding our Allstar link node, and also procuring equipment to better monitor and control the repeater equipment, such as remotely addressable power switches and other upgrades to the power distribution setup. Cory requested $500 be reserved for these upgrades, and with Tyler making a motion and Elaine seconding, all Board members approved. The Financial Committee met before the meeting and Doug expressed that he is happy with how things are going given financial documents are uploaded to Dropbox and are easy to review. The Financial Committee will work on a budget for the upcoming fiscal year to discuss at the next Board meeting. The Field Day committee will hold a meeting in approximately two weeks to begin preparations. Doug has outlined volunteer positions available and is looking for people to sign up. Field Day is the weekend of June 25th and Doug plans to organize an antenna party a few weeks ahead of time, and also invite people to come ahead of time to learn more about the K3 receivers we’ll have so that participants do not need to learn during Field Day. Next, we are looking for volunteers to help answer questions about amateur radio and the PSRG during Comm Academy, including how amateur radio is used for making contacts, experimenting, and emergency communications. Elaine mentioned that we had a display last year and we can investigate possibly reusing it. Aaron may have time to put together a brochure or flyer that we can pass out. The Annual Picnic is coming up July 9th and Tyler is interested in feedback and suggestions on what we can do this year. Doug mentioned we had a testing session there one time and we could do so this year. Also, the PSRG needs some supplies, such as coals for the barbeque, coolers, and ice, and that the potluck style used in the past worked well. Note that alcohol, firearms, and fireworks are not allowed at the park. The next Educational Forum will be next month on May 14th, 1:00pm, at the Salmon Bay Café. We encourage people to bring items to display and answer questions about, such as small computer projects and antennas. Last, Aaron explained that while the Expense Reimbursement Policy provides that any final expenses must be submitted within 30 days of the end of the fiscal year, getting all requests in before the year ends makes closing out the year much easier. He asked that if possible, please submit final expenses before April 30th to help make closing the year’s books easier. Doug proposed the next Board meeting be held on Saturday, June 18th at 1:00pm at the Salmon Bay Café. This is one week later than the regular schedule to help ensure we have quorum at the meeting. With no other business before the Board, Doug adjourned the meeting at 2:16pm. Minutes from the December 2015 meeting were read by Aaron, K8AMH. Motion to accept as read was made by Don, W7UUL, and seconded by Elaine, KG7CME. With all Board members in favor, the minutes were accepted. Aaron reviewed the Treasurer’s Report and described how QuickBooks provides details on the Group’s financials broken down by different income and expense accounts. Don moved to accept the report, and after being seconded by Tyler, AF7BO, all Board members were in favor and the report was accepted. Doug, Aaron and all others at the meeting thanked Glenn, K7GLE, for his contributions over the years as the Group’s Secretary-Treasurer and for helping make the transition to Aaron a smooth experience. Under old business, Aaron discussed next steps for working towards receiving the 501(c)(3) determination from the IRS which mainly includes authoring clear documentation of the Group’s plans and how they work towards our new purpose. A working group was formed with Aaron leading the group, as well as Elaine and Jon, KL7GT, to have this prepared before the next Board meeting. Also discussed was the need for monthly Board meeting which was originally discussed in December. Doug proposed switching our meeting schedule to generally be every other month, and during off-months continue to meet at the Salmon Bay Café to provide an opportunity for PSRG Members and other amateur radio operators to share knowledge and help others learn about different aspects of amateur radio. The Board was in full agreement and will take this approach going forward. Under new business, Doug nominated Don to continue as our License Trustee and Jon seconded. The motion passed with all Board members in favor. A Finance Committee was formed with Aaron automatically on the committee per the Bylaws. Doug moved that he also sit on the committee and Tyler seconded. All Board members were in favor and the motion passed. A Technical Committee was also formed. Aaron moved that he, Cory, NQ1E, and CK, KG7AUL, form the committee, Tyler seconded and the motion passed with all Board members being in favor. Cory provided a Technical Committee report in that the December issues we had with the internet node were due to water infiltrating the rack and shorting the power supply equipment. This was addressed and the internet node brought online within a few weeks. Aaron mentioned the need for an operating budget when we enter the Group’s next tax year which begins on May 1st, which the Finance Committee will develop. Also discussed was the need for an expense policy that covers the types of expenses the Group will cover and how to report expenses. Aaron provided a draft Expense Policy and the Board will review for its next meeting. Also mentioned was a deposit from Cafepress but that Aaron needed additional details about it. Barry, K7PAL, mentioned that Bruce, KC7IAY, had set up the Cafepress account, and Glenn will work with Aaron to gain access to the Group’s account. A need for an up-to-date assets list was brought up by Aaron to ensure we have documentation about the group’s equipment, and Doug reinforced we should also track who has the equipment should it be lent out or stored at someone’s home. Aaron and Barry will work on updating the list. Jon asked if the initial value of equipment needs to exceed $500 before it needs to be depreciated, and Aaron will research. There is also a need to update the Monday night PSRG Weekly Net script to remove references to the PSRG as a club and going forward refer to the PSRG as a group. Aaron will follow up with the net hosts. Marco, W7RJT, will check the website for these references as well and update. Doug discussed Field Day and that he is willing to chair its committee. He asked if anyone would like to co-chair but no one expressed interest. One person will run the CW station, another GOTA station. Doug will provide an HF radio, Jim his own radio for CW. We will set up antennas using the same technique as WARC’s method. It will be held at its usual location at South Seattle College and will have City of Seattle support. Tyler motioned for an initial budget authorization of $300 and Jon seconded which passed with all Board members in favor. Food ideas were discussed and Don suggested separate tents, one for food and socializing, the other for radio operations. Aaron discussed email procedures, in that using @psrg.org email addresses, whether actual inboxes or forwarding addresses, can help the Group show a more professional image when working with others, such as for grants. The Technical Committee will research how we should approach and will keep Doug updated on progress. Membership sign-up was also discussed given the online contact form remains offline due to junk submission issues. The Technical Committee will look into this as well and once a plan is ready will update the Board with the new process. Tyler asked about new control stations, which are appointed by the License Trustee. No changes were made, meaning the current list on the PSRG website remains up-to-date. Doug proposed the next Board meeting be held on Saturday, April 2nd at 1:00pm at the Salmon Bay Café, and the educational gathering for March 12. Doug mentioned he has a service monitor and could use this to demonstrate how to look at spectral purities of handheld radios. Tyler moved to accept Doug’s proposal, Aaron seconded, and the motion passed with all Board members in favor. With no other business before the Board, Aaron moved to adjourn, Elaine seconded, and the Board unanimously agreed. The meeting was called to order when a quorum of the Board was reached, at 2:06, by Secretary – Treasurer Glenn K7GLE at President Joel KD7QKK’s request, as both Joel and Vice President Doug KD7DK were running late en route from the annual ACS Lunch. All seven Board members and eleven members were in attendance by the end of the meeting. Cory NQ1E reported for the Technical Committee that the internet node has been inoperative for the past week or two, and that he will replace it at his first opportunity. Jon KL7GT brought a recommendation from the Special Quorum Committee for a change in Article IX Section 5 that would redefine the requirements for a quorum at the General Membership Meeting. That section currently defines a quorum at that meeting to be 20% of membership. The revised Section 5 would read “The presence of at least fifteen (15) members, including a minimum of four (4) Board members, shall constitute a quorum at a General Membership Meeting.” The amendment was passed unanimously. By-Laws amendments must be approved by the general membership, so this amendment and one passed in May regarding the disposition of Group assets will be posted on the website and be brought to a vote at the next General Membership Meeting. Under unfinished business, Doug noted that he was working with Mark N7LYE to secure the City of Seattle Emergency Operations Center for this year’s General Membership Meeting on Sunday, January 24th. It was noted that there could be a football game in Seattle on that date, so Doug and Mark agreed to look into the possibility of using the EOC on the following Sunday, January 31st, if that should happen. The Annual Dinner is nearly confirmed for the Ballard Bridge Cafe, the site of last year’s dinner, on Saturday January 9th, with a social hour beginning at 6:00 p.m. and dinner from 7:00 – 9:00. Glenn had no news on the effort to secure 501(c)3 standing with the IRS, except to say that if the amendments are passed at the General Membership Meeting it should qualify the Group for full, “charitable organization” status, which will allow donors to write off their donations, and could qualify the Group for certain grants or other benefits. Under New Business, Glenn raised the topic of whether the Board typically has enough business to warrant monthly meetings. This was not raised as a motion so no action was taken by the board, but during the discussion it was suggested that, regardless of whether the second Saturday of each month held an actual meeting, that date could continue as a standing “social” gathering. Under further New Business, the Board authorized $200 to be expended for snacks and miscellaneous expenses for the General Membership Meeting. Due to the late date of that meeting, the February meeting was set for February 27th, which will probably serve as the March meeting as well – to be confirmed. The meeting was called to order by President Joel KD7QKK at 1:03 pm. Introductions were made, with 15 present. Minutes from the October meeting were read by Doug, KD7DK and approved. Treasury report summary also read by Doug. Jon KL7GT reported that the Special Quorum Committee has not yet met yet but will before the next meeting, so expect a report then. Year end events will be the Annual Dinner, scheduled for Saturday January 9th, and the General Membership meeting, scheduled for Sunday January 24th. Doug has not yet been able to contact the owner of the Ballard Bridge Cafe for dinner plans but will keep trying. Under New Business, Doug stated the current membership page on our website is not working, said Cory is trying to enable it. Meanwhile folks wishing to become members or wanting to contact he board should use regular mail or email. Under further new business, there was a discussion on where to put the new Yaesu repeater. Don W7UUL suggested it go to our Beacon Hill backup site so we don’t have to order another antenna and duplexer. We could then move the current Kenwood backup repeater to the school for a quick replacement for the Motorola main repeater if needed. We could then experiment with the digital side of the new Yaesu repeater, which could be used for digital in and analog out so everyone could listen in. Also brought up was having the Kenwood as a portable repeater and Barry noted that we’d have to haul around a big set of duplexers if we did that. A motion was made by Doug, unanimously approved, that the Yaesu repeater will be installed at Beacon Hill site and the Kenwood moved to a third location to keep it safe in case of emergency. This was referred to the Technical Committee for action. Don inquired about our group agreeing on an alternate repeater that everyone could switch to in case of a total incapacitation of our equipment, and several were mentioned. Joel and/or the Tech committee will inquire to the other owners for advance permission and protocols to do that. A motion adopted to move forward with this, referred to as a Mutual Aid site. The next meeting was scheduled for December 12th, noting that since this is also the ACS lunch/meeting, our meeting will start at 2 pm, which means we’ll need to be efficient so as to be mindful of the Salmon Bay’s 3 p.m. closing time. Members still could of course come for lunch at 1 p.m. The meeting was called to order by Position #1 Board Member Jon KL7GT at 13:02. Four board members and 12 visitors were in attendance. Minutes of the August 8th meeting were approved as read, followed by the Treasurer’s Report from Glenn K7GLE, who noted that the payment for the new Yaesu DR-1X repeater had not yet cleared the bank, and that we have received a $32 payment from Cafe Press, the company that sells the items such as t-shirts and coffee cups from the PSRG Store page on the PSRG website. During the Technical Committee report, Cory NQ1E led a discussion of recent reports of interference, including the use of the club’s direction-finding equipment, which has been successful in locating interference sources in the past. License Trustee Don K7UUL was asked to follow up on this. Cory reported under Unfinished Business that he is continuing to work on the database to track memberships necessitated by our complicated membership renewal criteria. Under further Unfinished Business, Jon reminded the Board that it agreed at August’s meeting that we would ask for volunteers for a committee to review and make recommendations about the quorum requirements at General Membership meetings. This is important for general governance purposes such as voting for Board members and making changes to the By-Laws, but also because the outcome will provide direction about how to proceed with the underlying intent to qualify for IRS 501(c)3 tax-exempt status. Since no volunteers have been forthcoming in the following two months, he volunteered to chair the committee and solicit members. Cory volunteered to help. Anyone interested in joining in this effort, which is expected to be relatively short, should contact Glenn at K7GLE@ARRL.NET. Under New Business, the Board discussed where to locate the new Yaesu DR-1X repeater when it arrives. The question was referred to the Technical Committee. Under further New Business, Glenn noted that it was about time to begin thinking about dates and locations for the annual PSRG Dinner and the General Membership Meeting. The Board tentatively agreed on Saturday January 9th for the Dinner and Sunday January 24th for the General Membership meeting. The Ballard Bridge Cafe was discussed as a potential location for the Dinner. Glenn agreed to forward this information to Vice-President Doug KD7DK, whose responsibilities include activity coordination. The next meeting was set for Saturday, November 14th, at the Salmon Bay Cafe, and was adjourned at 13:50. Submitted by Secretary Treasurer Glenn K7GLE.